You are here: Home / News / Sending Holiday Season Regards to our Conservative Warriors. Sending Holiday Season Regards to our Conservative Warriors. (ThyBlackMan.com) Pleasantly surprised and a bit shocked, I enjoyed religious Christmas Carols played in the elevator of a major hotel. Progressive bullies are relentless in their quest to repeal the celebration of Jesus’ birthday, Christmas, declared a federal holiday in 1870 by President Ulysses S. Grant. Folks, when Bashir suggested that someone defecate in Palin’s mouth, it is not a stretch to believe that he would wish a similarly evil fate for all conservatives and the Tea Party. At every turn the moral and upright traditions, principles and values that we grew up with are under attack, bullied into the shadows. Could you ever imagine a day in America in which saying, “Merry Christmas” would be deemed controversial or offensive? While a majority of Americans embrace Conservatism, progressives dominate public education, Hollywood, the mainstream media and the bully pulpit of the White House. For decades they have been indoctrinating our kids, chipping away at the values of their parents. Opposition to the progressive agenda is dealt with severely with an iron fist. Intimidated, Americans know their place. Only a few rare souls have the courage to speak-out, challenging the progressive agenda. In this holiday season along with clinging close to our beloved families and friends, it is crucially important that we send warm Christmas hugs to our hand full of courageous faithful conservative warriors who are standing strong, fighting the good fight to preserve traditional principles and values which we hold dear. Worthy of special Christmas thanks are Mike Lee and Ted Cruz http://bit.ly/1bmmkt4 for leading the charge to repeal Obamacare which is the Grinch threatening to steal the joy of Christmas this year and every American Christmas from now on. Other champions of Conservatism deserving our thanks this holiday season are Ken Cuccinelli, Steve Lonegan, Sarah Palin, Trey Gowdy and Gov. Scott Walker. 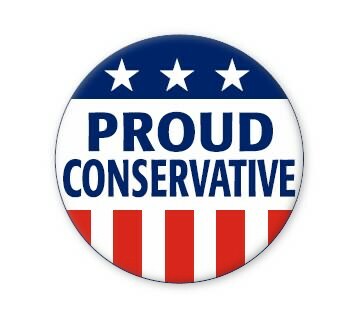 I am sure you know of other conservative warriors who should be included. While Obama’s blatant unlawful behavior and impeachable offenses are plain for the world to see, with a weak-kneed congress unwilling to push back, Obama might as well be king. Despite his polling plummeting to the 30s, http://nws.mx/1cpC6nZ losing the Millennials http://bit.ly/18nk1FI and 52% of Americans saying Obama is not honest and trustworthy, http://wapo.st/INh1ce displaying remarkable arrogance, Obama remains relentlessly steadfast in his quest to ram Obamacare down our throats; fundamentally transforming America. This is why we so desperately need and appreciate our faithful remnant of conservative warriors. As God promised to bless the faithful remnant of Israel, I believe our faithful remnant will also be blessed; good triumphs over evil. My favorite Christmas special from my childhood is “Mister Magoo’s Christmas Carol”. I found it on Youtube and enjoyed it. As you enjoy tasty delights, opening gifts and pondering the reason for the season with family and friends, please remember with warm thanks, appreciation and support our faithful remnant of conservative warriors. We are in a war for the soul of America. On my grown up Christmas list is for God to strengthen and keep our faithful remnant of conservative warriors who are courageously fighting on the front line for us. Have Yourself a Very Merry Christmas and a Happy and Blessed New Year!